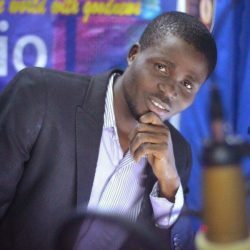 I recently had a chat with the CEO of WiGRadio, an Internet Radio station based in Lagos Nigeria but broadcasting worldwide. He has such an inspiring testimony; we asked him if he would love to share his story with ‘iTestify’ and he said yes. It is amazing how much joy and fulfilment come from walking in purpose and doing the will of God. I pray that as you read this story, you will be inspired to do that which you were purposed for. Hi Mr. Perfect thanks for the opportunity to share your testimony and success with us. Can you please tell us who Mr. Perfect Olawale is? My name is Olawale Perfect; I am a Christian, the youngest from a family of five. I studied Bio-Chemistry at the University of Lagos where I was privileged under God to graduate with a first class. I have a Post Graduate Diploma in Mass Communication; I am presently in session for my master’s degree in Mass Communication. I love God, I am privileged to be the Chief Executive Officer of WiGRadio. Through WigRadio, God has helped us to do a lot of great things. If you ask me who I am, there is no way I can describe myself at this time without WigRadio coming into the picture. Wow that’s a lot of degrees. Where did the name Perfect come from? I know names are very important and significant. So how did the name come? Hmmm interesting! What was growing up like for you? Growing up was quite interesting. I spent most of my childhood days alone and I had few friends. I did not start socializing with people until recently. My best friends then were my books. My dad had a library of books so I picked anyone that caught my fancy and just kept reading. By the time I was eight years old, I had read a lot of books on business, money, investments and spiritual matters because those were the books I found in my dad’s library. That culture of reading was to become a highly beneficial advantage to me later in life. I also spent time with my grandmother. My grandma was the one that taught me never to waste resources. I remember one incidence when I threw away a ball of “eba” (local Nigerian food). My grandmother told me that people who do such things would experience hunger for three days because there are some people who do not have food to eat. That was the last time I ever wasted food. Hahaha! I think I should use that line on my kids. Please can you tell us the story behind Wigradio! When was it inaugurated? In the course of my service year( Fresh graduates in Nigeria usually go on a one year national service), I heard the Spirit of God tell me to stay back in Ebonyi State where I was posted to for instructions. I was just praying when I heard the Spirit of God tell me ‘Perfect, I am not going to ask you to go back to Biochemistry, I have an assignment for you in the media’. God told me to go and apply for a Post Graduate Diploma in Mass Communication and it was like a double demotion but I was convinced that it was God. During the program, some of my course mates got my book and somebody just walked up to me and said ”do you mind coming to the University of Lagos Radio to talk about self-publishing?”. I was happy because it was what I had been praying for. Before I went for the broadcast, I spent quality time praying and that broadcast was awesome. Immediately I finished talking, almost everyone in the station came out to see who was talking; they saw the young boy and some of them found it difficult to believe. That was the open door I was waiting for. I was on the University radio for nine months without paying a dime. At the end of my Postgraduate Diploma, God told me that it was time to start a radio station. During that period I travelled to Ebonyi, I was opportune to talk to some key guys in Ebonyi Broadcasting Corporation and I realized that starting a radio station in Nigeria would cost nothing less than 50 million (naira) that is over 250,000 USD. I came back with faith; one day the idea just dropped- “internet radio station!” I began to do my research and I realized that most internet radio stations were abroad. I walked up to one of my friends that was into ICT; before I left his place that day, we realized that it was possible. Immediately, I fixed a date for the launch of WigRadio. To be candid, at that time, all I had in my GTbank account was 200 naira( $1.00). That is why I tell people that we started WigRadio with 200 naira. The provisions began to come. “When the vision is from God, the provisions would come”. The first time we went on air in 2013, I didn’t have an internet enabled phone to listen, I had to borrow my sister’s Blackberry to log on to www.wigradio.com and I heard music playing. I was so excited. At that time, a lot of people in Nigeria didn’t know what internet radio was all about. We decided from the beginning that our content would edify people and move them from where they are to where they ought to be which is where God wants them to be. We run business programs too. We recently celebrated our second year anniversary in March. Congratulations, it’s amazing where God has brought you from. Online broadcasting seems to be a new wave right now, what are the main challenges you face and what is the follower-ship like? Within two years of operations, WiGRadio which is live online, 24 hours a day has been able to capture a reach of 110 countries with active presence and broadcast outlets in three continents of the world. I thank God that God did not tell me about the challenges because if I had seen the challenges, I would never have started but God has seen us through. One challenge is the fact that people want you to do everything for them for free without thinking about where the resources would come from. We have staff, we pay salaries, we run on fuel, we consume internet data, and we spend money on so many things. We are not sponsored or affiliated to any church or ministry. We are simply operating by faith in God who has called us into this work. So when we render services to people, we tell them that they should make a financial donation to keep this work going but many of them just tell us “God bless you”. Some of us have had to close down our bank accounts and had to work extra hard doing other jobs because we want the good news of the gospel to get to the ends of the earth. We however thank God for the people who have willingly called us to be a part of what God is doing through us. We stand today to say we have never had any course to beg anyone because that was the instruction God gave us that he would meet our needs by himself. That is an awesome testimony. When you abandoned your first class certificate for the call of God, what was it like, how did your family and friends perceive you? It was a tough decision to study Post graduate diploma in mass communication after graduating with a first class in Bio chemistry from the University of Lagos. The decision to make a switch to media was one of the toughest decisions I have ever made. I had other offers to take up lecturing jobs in Bio-chemistry but I declined because I was convinced I had to be in the media. I have also had to close down my bank accounts on several occasions because I believed in this vision. It is important to use what you have first to pursue your vision; people will show up to support you. I had to delay personal gratification like shopping for new clothes because I had so many projects to execute at Wigradio. Today, my family members are happy that I am doing the work of God and they have given me all the support I can pray for. They have been so wonderful. God uses the little you have and sends help, I pray He brings all the support Wigradio needs. On iTestify blog, we showcase the goodness of God in the lives of his people. Tell us what are you most grateful for? Where do you see Wisdom gate radio in the next 5 years? I see wisdom gate as being a blessing to at least two billion people on the face of the earth. Wisdom gate radio will have a terrestrial platform in the next five years also. I say amen and believe with you. What advice do you have for upcoming entrepreneurs like yourself? Be connected to God and understand that you can achieve anything, but you need to work it out. Stop waiting for people to encourage you. Encourage yourself and run with your vision. Then people will come to run with you. That is so key, ‘encourage yourself’ everyone needs that message, as we most times wait for others to encourage or support us. If there was ever something from your past you need to change, what would that be? If I had the chance to start anew, I would love to change some of the bad experiences I have had with some people and make it better. I have come to realize that my greatest asset is not the business or the money that I make but the people I am surrounded with. I would love to ensure that every single person that I come in contact with me leaves with a pleasant testimony. I could be so busy at times that I don’t give enough attention to some of the important details in the lives of others. However, it is one thing I have been working steadfastly on and I am making progress daily. I want to be a blessing to more lives on planet earth. Thank you so much for your time and I pray God continues to prosper the work of your hands as you serve in His vineyard.